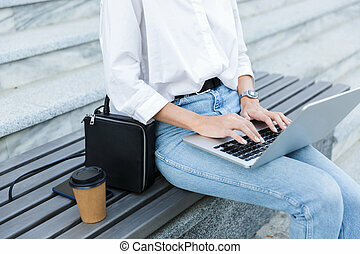 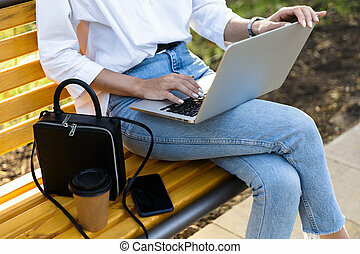 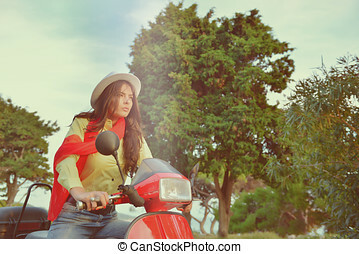 Close up lifestyle image of young fashionable woman in casual outfit sitting on scooter on the street. 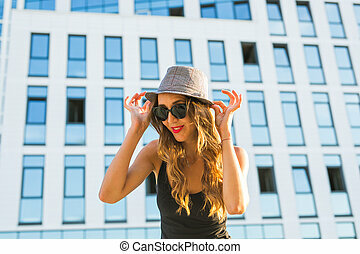 wearing blue shirt, white pants, trendy sunglasses. 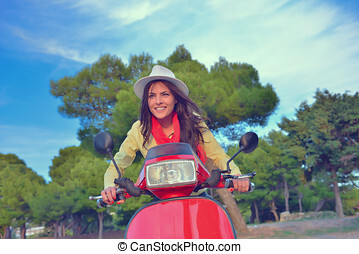 tourist woman enjoying holidays . 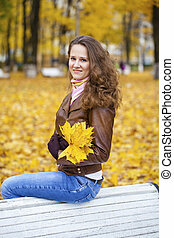 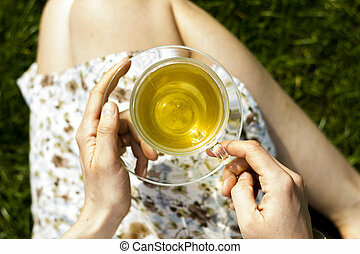 Cute young brunette woman sitting on the bench in summer street. 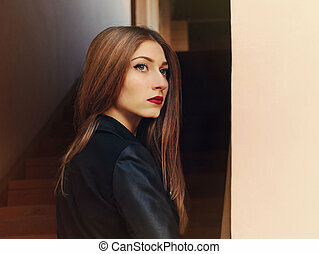 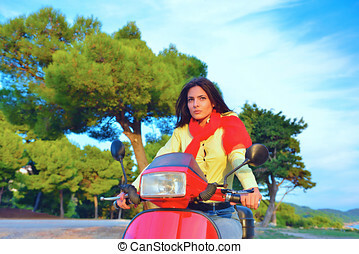 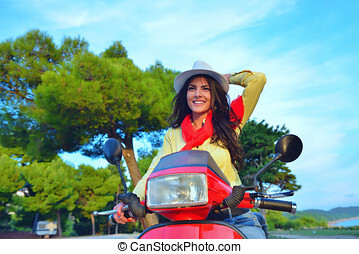 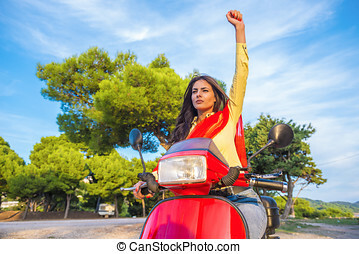 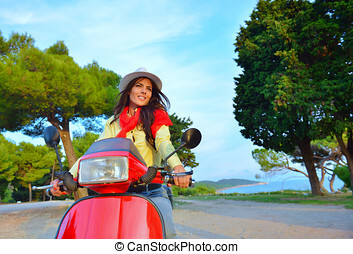 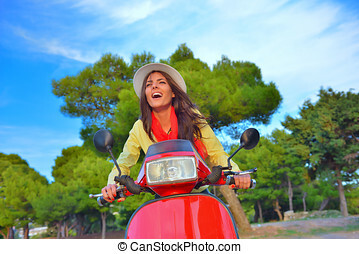 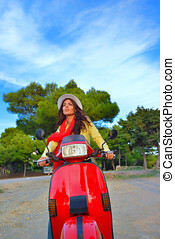 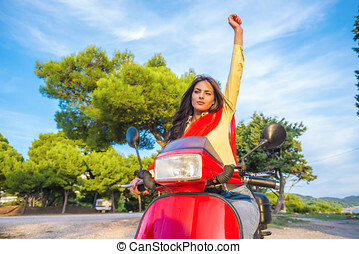 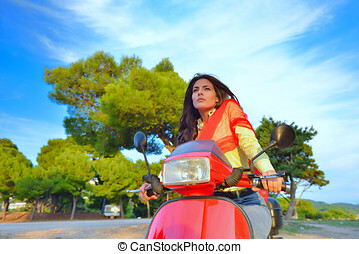 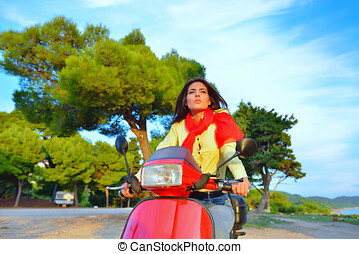 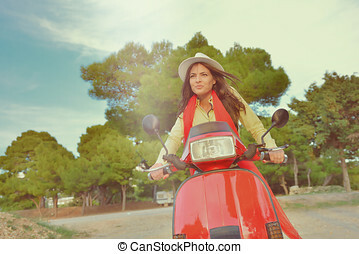 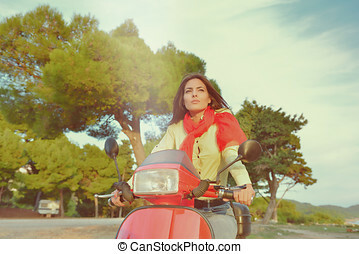 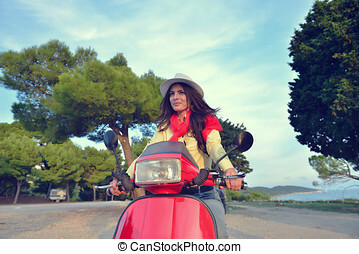 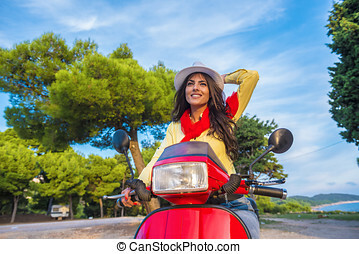 Young beautiful italian woman sitting on a italian scooter in Italy hills.